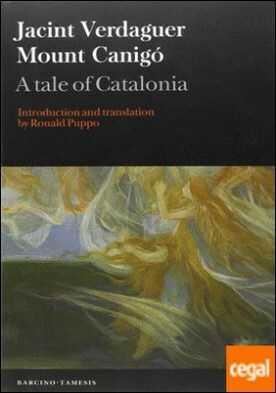 Catalonia’s towering Romantic poet and rebel priest, Jacint Verdaguer (1845-1902), delves deep into the Catalan imaginary in his foundational long poem Mount Canigó (1886), recounting the historical and legendary mix, both tragic and triumphant, of the medieval origins of modern Catalonia. The collision between duty and love is mirrored by the symbolic conflict between, on the one hand, a powerful folk mythology rooted in the natural geography and, on the other, the widely institutionalized universalism of Christianity concomitant to the reconquest of the Iberian peninsula. Rich in lyrical and thematic correspondence with long poems ranging from La chanson de Roland, Ariosto’s Orlando Furioso and Spenser’s Faerie Queene to Milton’s Paradise Lost, Longfellow’s Evangeline and Tennyson’s Idylls of the King, Verdaguer’s masterful verse rivals all the legendary magic and wonder of the mountains themselves. Jacint Verdaguer is regarded as one of the greatest poets of Catalan literature. Ronald Puppo is the translator of Selected Poems of Jacint Verdaguer: A Bilingual Edition Published in association with Editorial Barcino.